Psoriasis is a skin disease characterised by red and scaly patches, well demarcated, itchy, usually located on the elbows, knees, arms, legs, nails and scalp. It is caused by various factors: genetic, immunological and environmental. 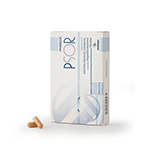 PSOR is a supplement of folic acid, vitamin D3 and coenzyme Q10, with added extract of silymarin and polypodium leucotomos. 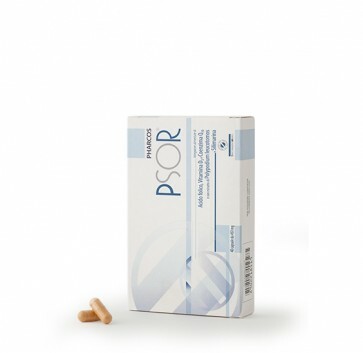 Folic acid promotes the normal metabolism of homocysteine, while vitamin D3 assists in the process of cell division, and polypodium leucotomos promotes the trophic level and functioning of the skin. Gluten-free.